This may appear to start out as a confusing, multi-faceted story about Toyota Australia, but bear with me. The automotive media has been hurling bouquets at Holden and Ford Australia for years, because of the companies’ well-known flair for initiative, innovation, can-do approach and the instinctive ingenuity of their design and engineering staffs. independence and successful initiatives. Also, under ex-CEO John Conomos, TMCA followed the Japanese lead and played the long game. Investments that were seemingly silly, proved to be right, further down the road. By global measure TMCA’s local design, engineering and manufacturing facilities are tiny, and one might think ineffectual, but they punched above their weight. TMCA fought for its independence from its Japanese parent, and managed to win some key battles. I don’t think enough people understand the boldness of its moves and the benefits they brought to the company and its employees. been Australia’s best-selling car (it drifts in and out of top spot), and it’s one of the main planks in TMCA’s model structure. TMCA needed to sell the car with an automatic transmission in order to appeal to the widest Australian market, and the parent said NO, we’re moving to CVT, if necessary. The automatic transmission used in the Corolla is an ancient Aisin Warner-manufactured unit, originally designed by the now defunct Borg-Warner. TMCA was told that the parent would not invest a dime in further upgrades to the unit, and TMCA said “Fine, we’ll live with it, as is.” It may not be modern and slick, but it works, and satisfies market need. 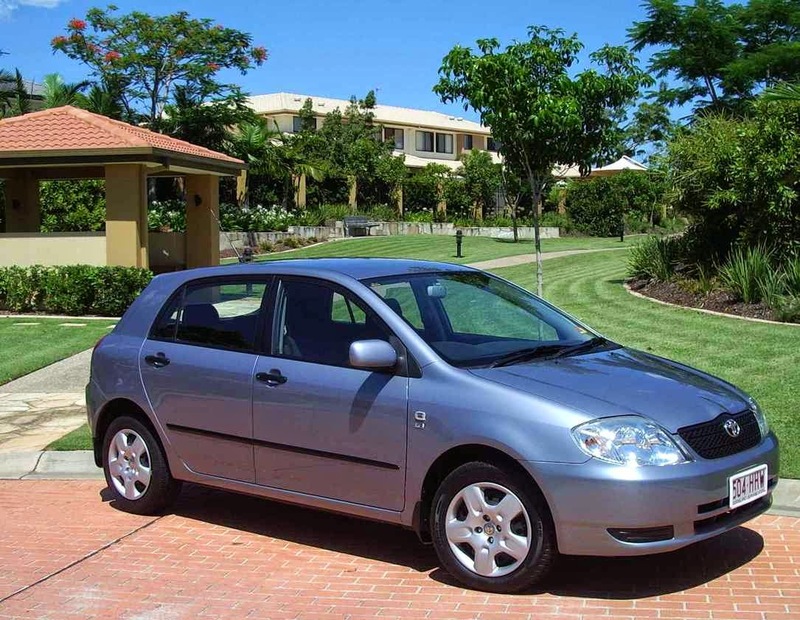 In addition, the parent said we’re changing the name of the model from Corolla to ‘Auris’. 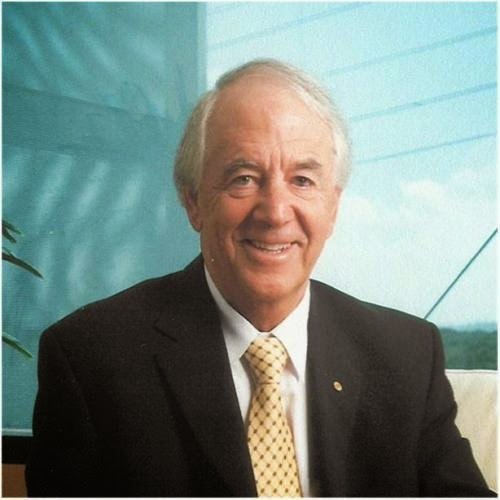 TMCA argued that switching the badge would confuse Australian buyers and simply jettison 38 years of brand image building. TMCA won that argument too, and Corolla continues to be TMCA’s most popular car. Now, let’s consider TMCA’s desire to capture a bigger slice of Australia’s six-cylinder market. Toyota previously offered six cylinder models, like the staid Cressida with an inline six; and the Vienta, which was just a new badge for the Camry with a V6. 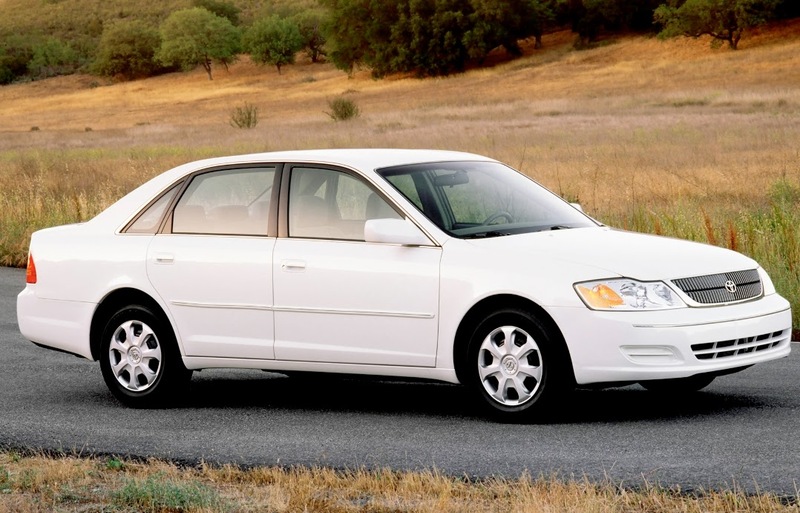 In 2000 Toyota launched the Avalon (Model code XX10) on the USA market. To say this car was conventional, boring and dull would be massive understatement, and the parent forced TMCA to flog this car (unsuccessfully) from 2005-2006. See huge sigh from Tokyo, and affirmation. “Okay, go ahead.” So, model XV40 was born. 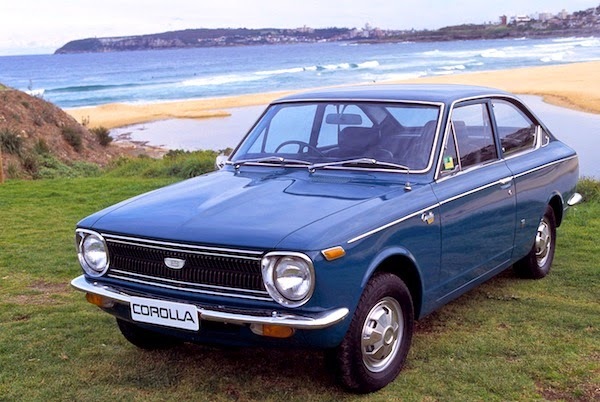 The parent already knew at that stage of TMCA’s desire to get the Hybrid Camry on the market in Australia, and that in order to assemble it Down Under TMCA would have to stop making Corolla and import it. 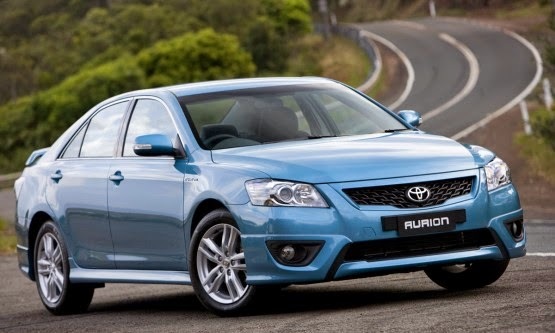 Now, no one in Australia would admit the Aurion V6 is a true competitor for a Falcon or Commodore, BUT, Aurion gave TMCA a player in the segment, and what a refined, sweet car it is. It’s modest in size compared to its larger competitors, but it boasts one of the sweetest V6 engines ever made, ever! It also has plenty of interior space, large trunk, good equipment levels and excellent performance and fuel economy. This is a car that Commodore and Falcon buyers should consider, but they didn’t because most buyers reckoned it was too gutless to “tow the caravan” and it was Front-Wheel-Drive, not a ballsy rear drive like the Yanks. However, TMCA beavered away and although its sales numbers aren’t show-stoppers, Aurion plods along. It is a very, very nice car. Having travelled a couple of thousand kilometres in a Sportivo version, I can say, with hand on heart, it’s a car I would seriously consider. Now, there’s the saga of the Camry Hybrid. With a lot of pressure from the Greens, the Australian Labor Government was planning a ‘Green Car Fund' to boost the development and sales of alternative fuel vehicles. From a government policy perspective this was clearly one of the dumbest decisions ever made. It merely confirmed that the ALP and the Greens are definitely NOT business-focused. They dream a lot these people. However, TMCA knew it had a car in the wings which could establish Toyota as a major player in the Green Car Game, and once it dropped Corolla from its local manufacturing line-up, it could be assembled alongside Camry and Aurion, making for much smarter utilization of the manufacturing facilities, and at least creating a talking point for Toyota in the media and the marketplace. Okay, it was too expensive; potential buyers couldn’t see why they needed to switch from conventional fuels to a hybrid; and there was also the question of used car values, which was a complete unknown. Not only were buyers unconvinced, more importantly, Toyota dealers thought it was a waste of space, and marketing resources. Once again, TMCA walked where no-one else dared, and has supported Camry Hybrid (yes, they dropped the price, and added more kit to create a better value equation). But, there is no doubt in my mind that all the talk about pure electric vehicles is hogwash, and in fact, as a short term answer to providing an alternative to gas-guzzlers, the Hybrid system is a smart idea. Think of it. Great fuel economy, if driven intelligently; no range-anxiety issues; and it’s a sweet car to drive. No, it’s not perfect, but credit TMCA with being smart enough to get into the game from Frame One and establish its bona fides as a key player in alternative cars. This is why I have great respect for TMCA. It has been smart, it has been managed smartly, and it has done a lot with less resources than its American competitors – who, after having had zillions contributed by the Australian taxpayer, will swan off into the manufacturing sunset with nary a care. Thinking about Toyota’s global presence, I think its Australian outpost deserves a pat on the back. I don’t blame it for withdrawing from local manufacture. In terms of economies of scale it never made sense, but it did keep a lot of Australians employed for a long time, despite ever-rising costs, most of which were pumped-up by greedy unions. 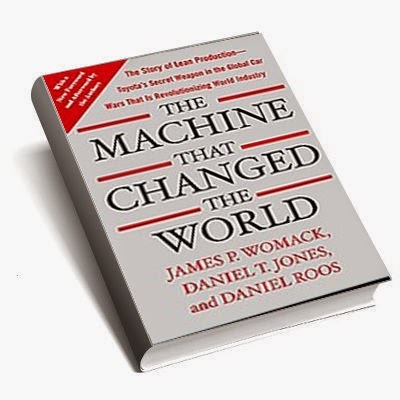 Postscript: Remember Toyota was the company named by the authors of the book, 'The Machine That Changed The World', as the best, most efficient and profitable company in the world! It must be doing something right.